Mid cycle refresh for the Subaru Wrx Sti with forged internals, a decent power bump, wider BBS wheels and tires, carbon fiber roof, significant chassis bracing, suspension upgrades, cooling system enhancements and new body work. It’s actually a special, limited edition called the S209—first in a long series of S trim Subarus to make it stateside—that’s expected to sell for M2 money. Is it cool? Yes. There are some very real upgrades that are far beyond the normal trim package, especially for Subaru. Yet it’s hard to get past the fact that with forged internals, a bigger turbo, a new fuel pump, injectors, improved cooling, etc., etc. All Subaru was able to find was a 31 hp gain. That’s an additional 10% increase in horsepower, for an estimated $25,000 price increase. Just for Comparisons sake, the naturally aspirated 2019 Miata saw a 16% power bump over the outgoing model year, with a negligible price increase. Of course, in such limited numbers Subaru will have no problem selling them all to loyal fans, but with an expected price of over $50,000, it’s going to be hard to justify for those outside of the fan base. The best Sti yet. 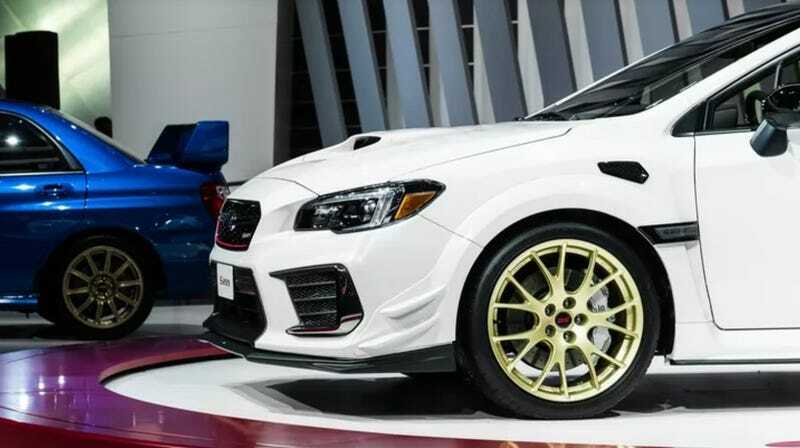 Subaru took their already fantastic platform and added many of the upgrades that enthusiasts have been clamoring for, in the name of making a true weapon on and off the track. The expected price tag is astronomical. The $50, 000-$60,000 range is stacked with performance and luxury-performance options. When you can start looking at brand new GT350's, M2's, RS3's, 4C’s, etc., it becomes a much more difficult call to drive home in the Subaru. Perfect for those willing to spend the big bucks on a high-performance AWD sedan with zero luxury pretensions.